Being prepared at Walt Disney World is very important. Knowing what to have on hand in the parks can save you money and stress. 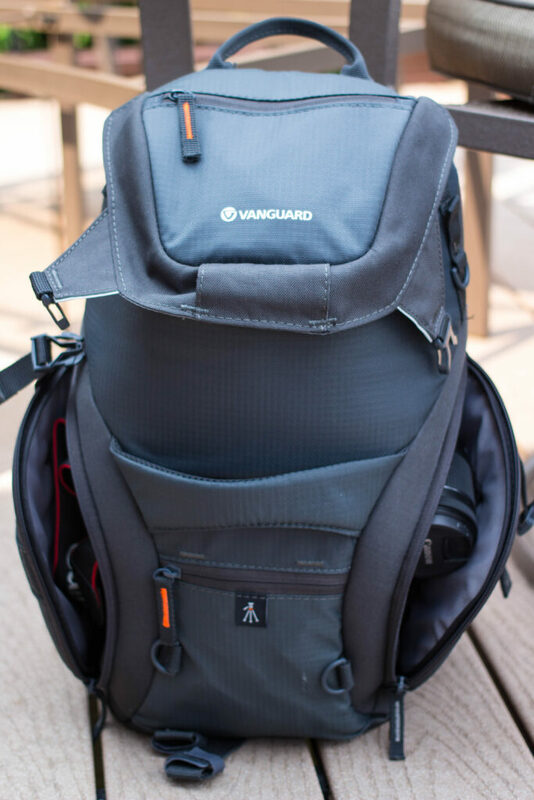 During my trip in February I carried one backpack with the essentials while my boyfriend Ethan carried a backpack holding both of our Canon DSLR cameras and extra lenses, among other accessories. We found this really worked well, and I think we would do the same thing on our next trip. When in Florida it can get HOT! 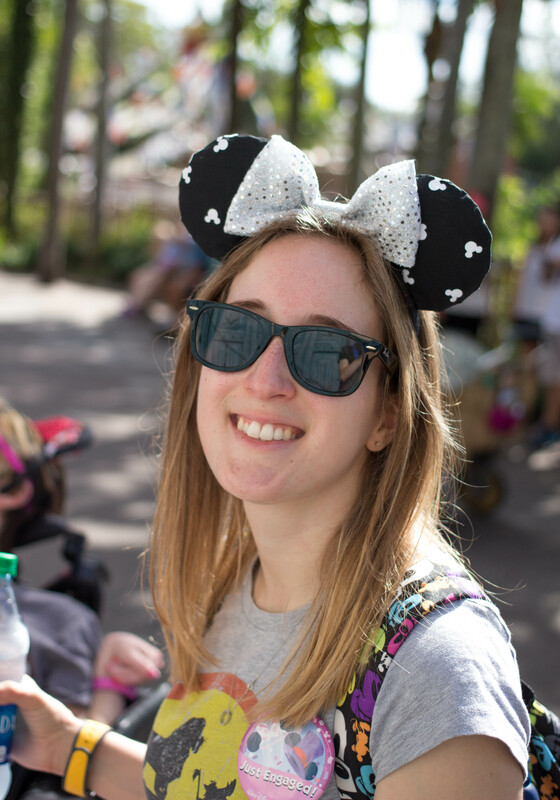 It’s important to stay hydrated, especially because you are walking so much while in the parks. I hate the taste of Dasani water, and unfortunately that is all they sell in WDW. I use a filtered water bottle so in a pinch I could fill up my water bottle using the sinks in the hotel room or even washroom sinks at the parks. There are many drinking fountains in the parks, but it’s a bonus to have the filter if needed. Again, in Florida it’s hot and sunny! Make sure to bring sunscreen with you, and apply it often! I would apply sunscreen while getting ready in the morning, and every couple of hours throughout the day. I’ve learned the hard way that some sunscreen is not waterproof (thank you Splash Mountain! ), so make sure you are wearing a waterproof sunscreen! Sunscreen takes 20-30 minutes to start working, so applying it when you are in shade would be a good idea. That’s also a reason putting it on while getting ready in the morning works! During our trip in February it really cooled down at night, so I always made sure to carry sweaters for both Ethan and I. Even when we usually travel in May I bring a sweater, because the buses have the Air Conditioning blasting to keep the windows from fogging up with the humidity. I get cold pretty easily so I’m comfortable in a hooded sweater at night. 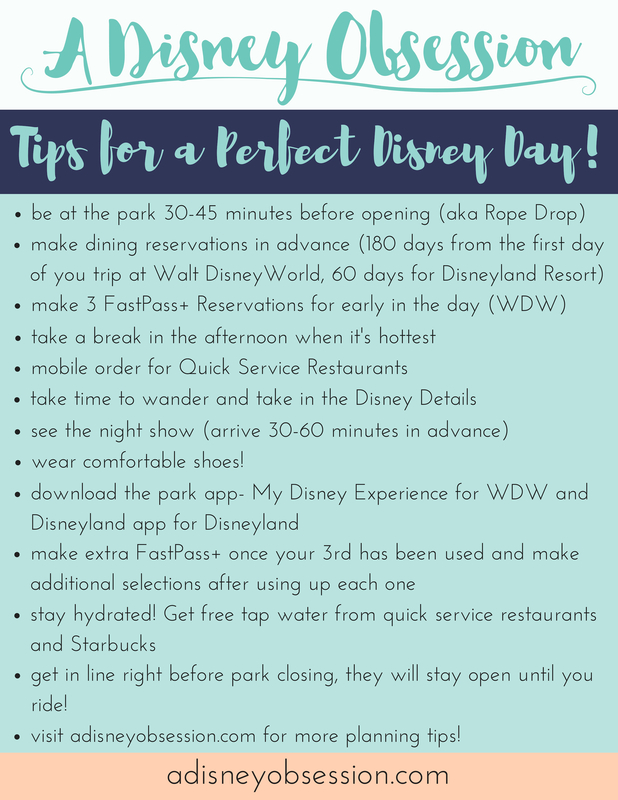 Also think about bringing a change of clothes if you are heading to a park that has water rides you are wanting to experience. Or bring a poncho! At Magic Kingdom there is Splash Mountain and Pirates of the Caribbean (which you rarely get soaked). Animal Kingdom has Kali River Rapids (you WILL get wet!). If you are planning to head back to your hotel to change after, don’t worry about bringing a change of clothes. If I’m only planning on spending half a day at Animal Kingdom, I will experience Kali River Rapids last before heading back to the hotel so I’m not walking around soaked all day. I’ve learned from experience with this one! In 2007 my mom experienced Kali River Rapids in denim shorts. Needless to say she spent 20 minutes in the washroom attempting to dry her shorts under the hand dryers! Being at the parks all day can be tiring. Overcast skies can give me headaches, so I always keep Advil on me. I’ve also learned that I have a sensitive stomach when I booked dinner reservations at different times every night to eat at the restaurants I wanted. I went from feeling really hungry to sick fast. Pepto Bismol capsules have saved me. I keep them with me all the time as well, and they sure come in handy. And other medication would be good to have on you, because you never know what you might need in the park. It’s always better to have something and not need it than need it and not have it. The parks all have First-Aid stations, but if you feel a blister forming you may not want to walk all the way across the park to get there! I find that having them on me usually means I don’t need them, but it’s always good to be prepared! First Aid might have some Advil as well, but you could also buy it in one of the many gift shops. These were technically in our other bag, but it’s really important to capture the memories you are making! 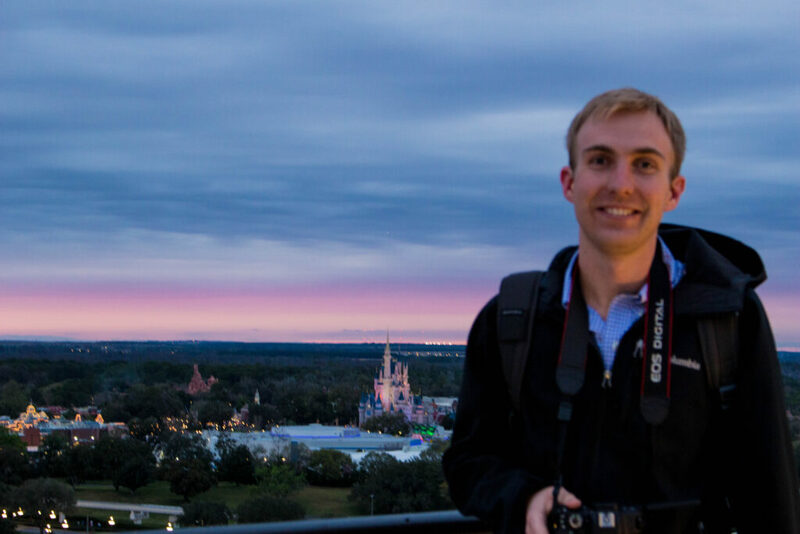 Disney Photopass service is available at all of the parks, but if you bring your camera with you the photographer will usually take a picture with your camera as well. I feel bad asking, but if it saves me money on buying prints, I’ll do it. Lastly, the bag I keep everything in! 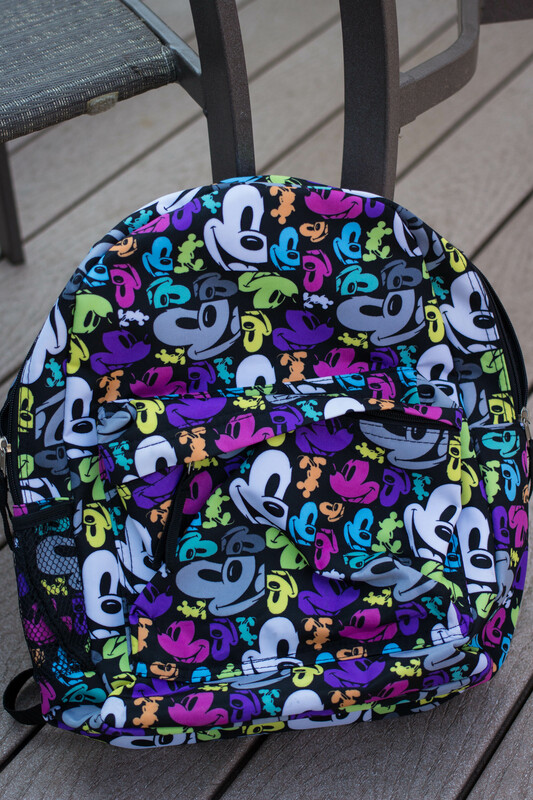 On my trip in 2013 I brought a huge Mickey bag that my Mom purchased on another trip. After a few hours in the Magic Kingdom, my shoulder was killing me. Ethan didn’t want to be seen carrying a shoulder bag (I don’t blame him) so we headed into the shops on Main Street. We purchased this backpack, and it worked well for us. We travelled in May in 2013, so the needs changed when we went in February this year. 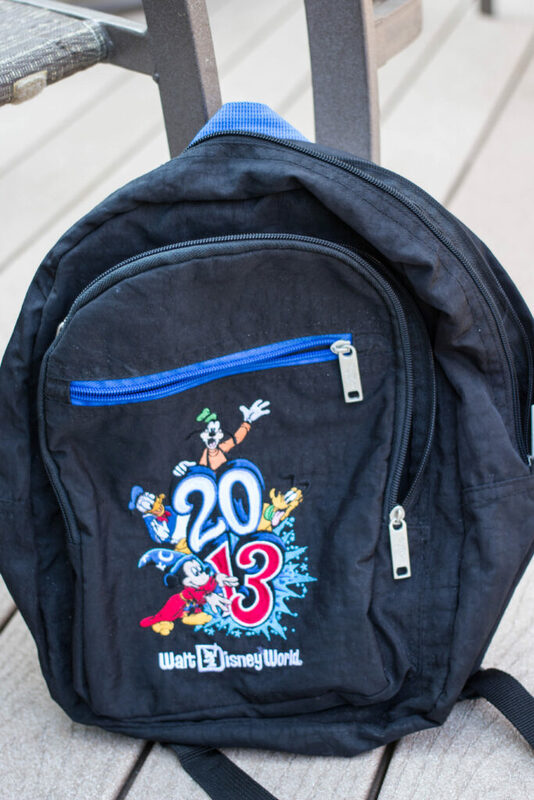 I brought the 2013 backpack hoping it would work, but after packing it full, we realized it was too full. We headed to Main Street again and bought this backpack. It’s larger but not too large, and was made of a thicker material. It even had a pocket on the side for my water bottle which I loved. I also purchased the matching wallet later that day. 🙂 I think that having a backpack is important, to even out the weight of all of the things you need. It’s also helpful if other members in your party are willing to wear it! 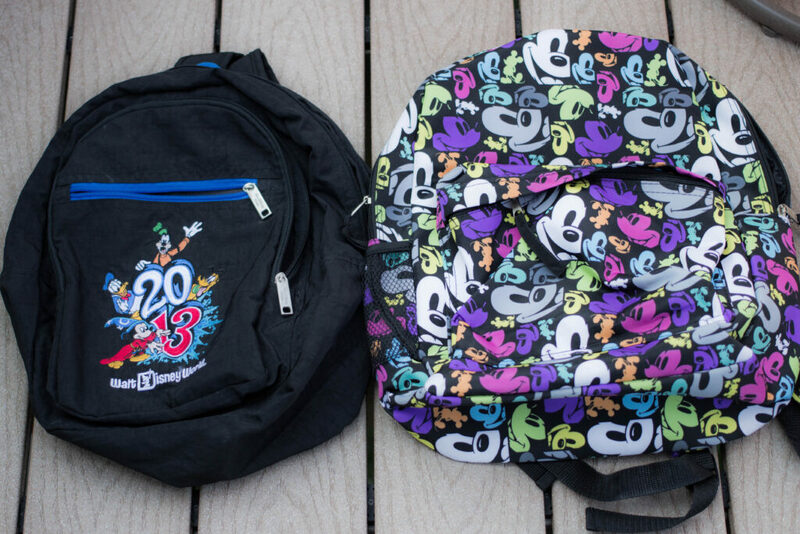 Both backpacks side by side. There is not a huge size difference between backpacks, but it did make a difference! Now on to the camera bag! The backpack with pockets open. This is the camera bag we used. It’s a Vanguard Adaptor 45. As you can see it has pockets on either side and one on the top. One side we used for Ethan’s Canon Rebel T5i, the other we used for accessories and extra lenses, and the top fit my Canon Rebel SL1 perfectly. We have found that it works perfectly for us! 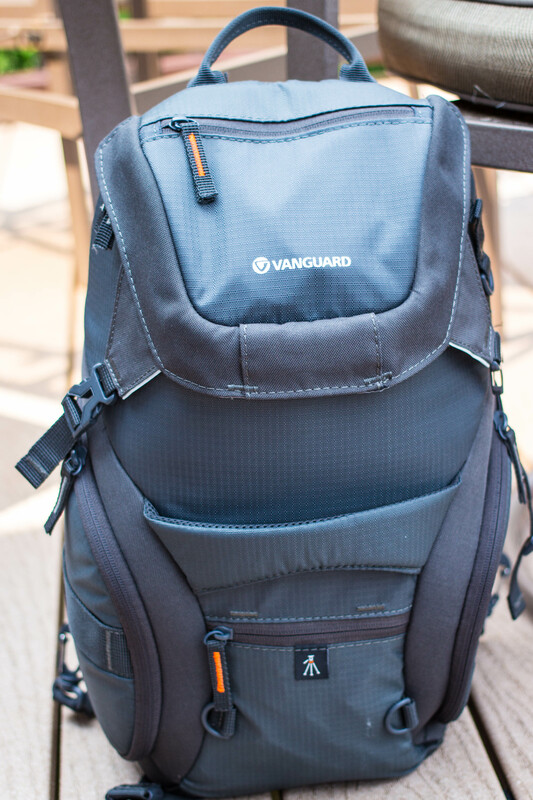 It’s not too big, and even has a strap for a tripod if you don’t want to carry one! 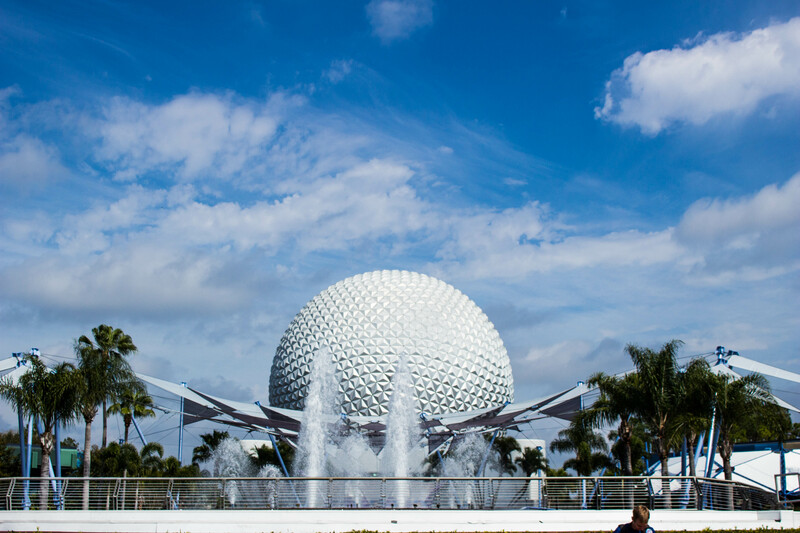 And as a reward for looking at pictures of backpacks, here’s a nice photo of Spaceship Earth ! 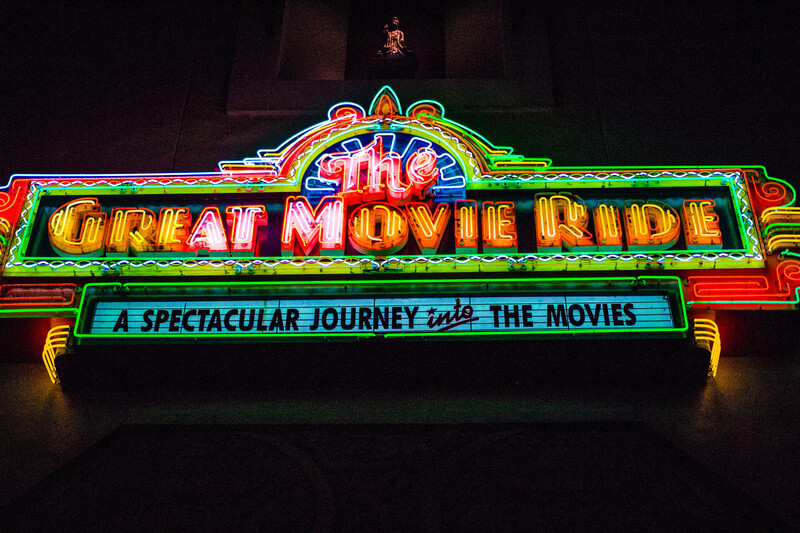 What do you bring with you to the parks? What can you not live without? Let me know in the comments!